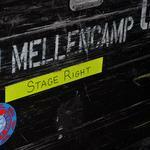 New album - "Other People's Stuff"
John Mellencamp Community > MELLENCAMP.COM ANNOUNCEMENTS > Ask Mellencamp.com > New album - "Other People's Stuff"
I realize that John is giving a copy of the new album with any ticket purchased online for the upcoming tour. But, can you give us an idea when we will be able to pre-order the CD online? It would be very much appreciated. Thanks! Re: New album - "Other People's Stuff"
They are still working out some legal stuff but it should be sometime around October 15th. Thank you very much for the information! It's greatly appreciated.